The viral clip, captured in Tuscaloosa, Alabama, shows the moment a storm was gathering in the sky. Among the clouds, a figure appears to ascend out of the shot. Is it a sign? Viewers say they can see GOD walking across the sky as footage captures a shadowy shape surrounded by bright light in the middle of clouds. 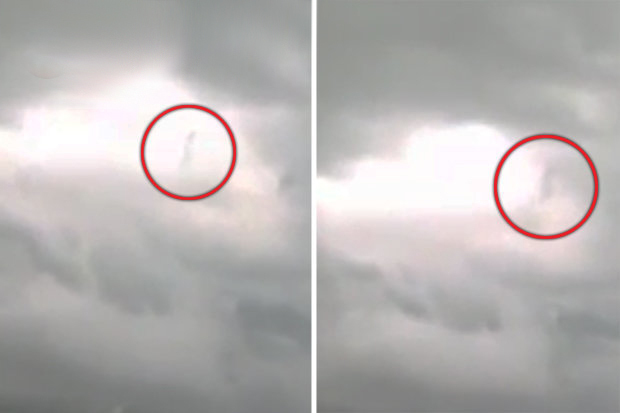 The amazing footage appears to show ‘God’ walking through clouds in Alabama.